Creative life can be very confusing. 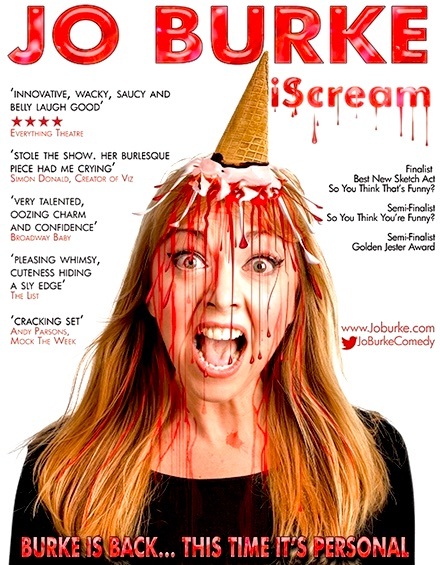 This Saturday, Jo Burke is performing her Edinburgh Fringe show iScream at the Museum of Comedy in London. 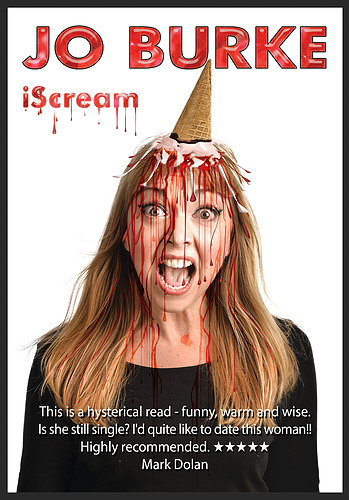 And her book iScream is on sale. 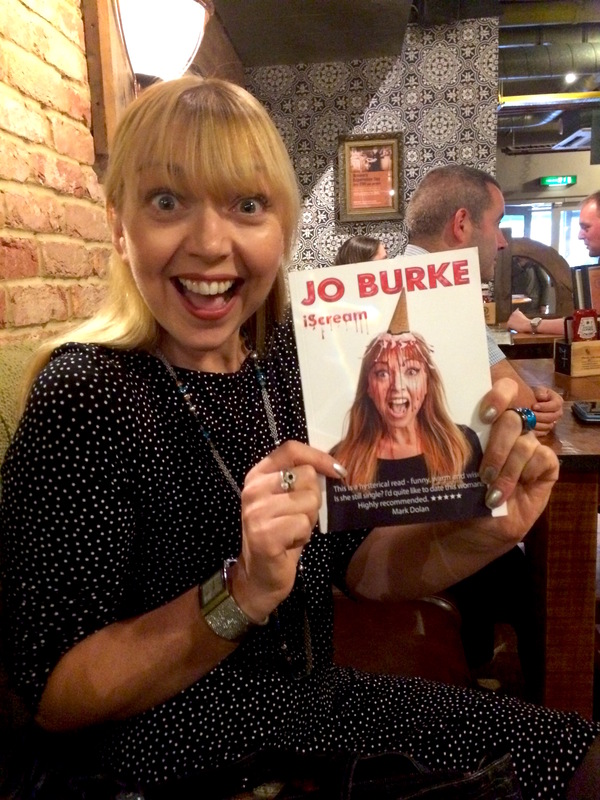 “Or Burke’s Peerage,” suggested Jo. “And a second book?” I asked. “So which page is the filth on?” I asked. “No idea. He looked like James Corden, but wasn’t. I had just finished my show and gone for a drink with my accountant and – this is how well my accountant knows me – I offered to buy him a drink and he said: No, no. I should buy you one… You know you’re in trouble when your accountant won’t let you buy a drink. “I was signing a lot of books after my shows and most people wanted me to put their name in it – To Whoever… but this one guy went: Oh no, don’t personalise it – It’ll be worth more on eBay. I thought he was joking and he really wasn’t.